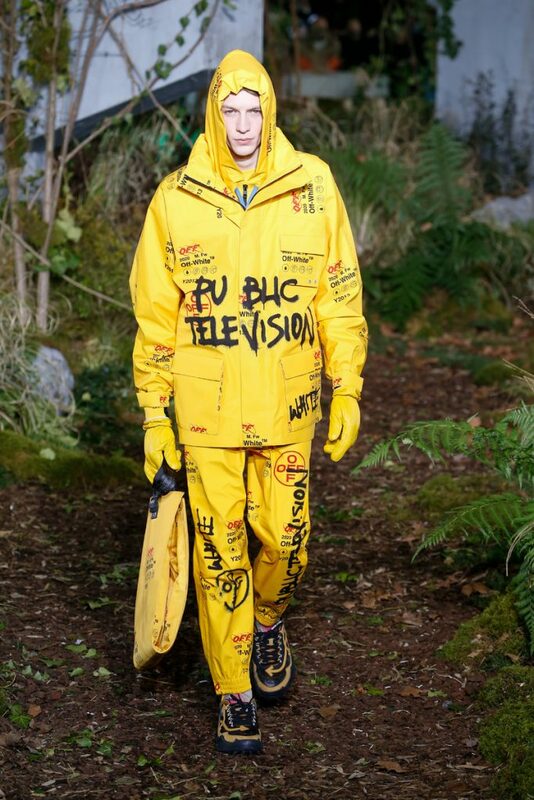 The collection was titled “Public Television” and boy was it an entertaining show. 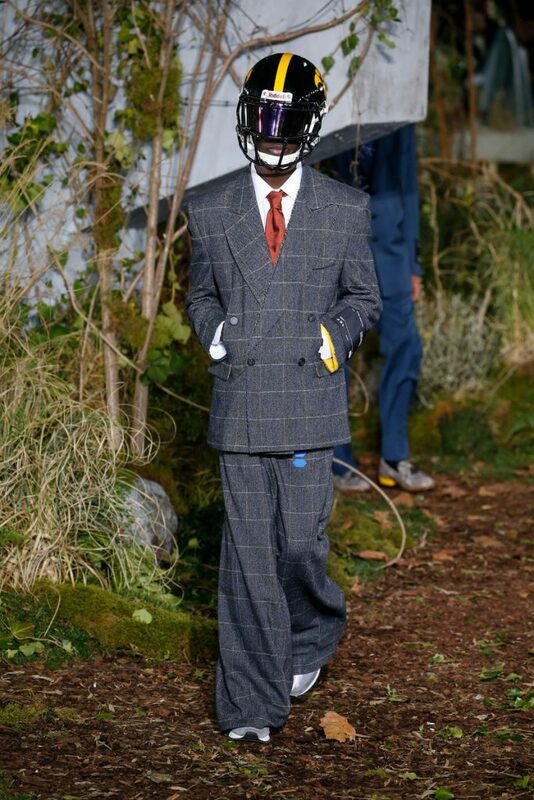 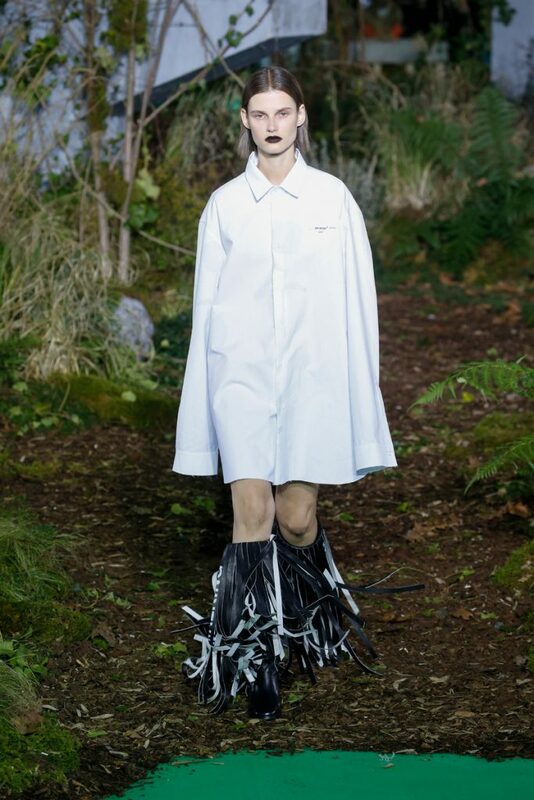 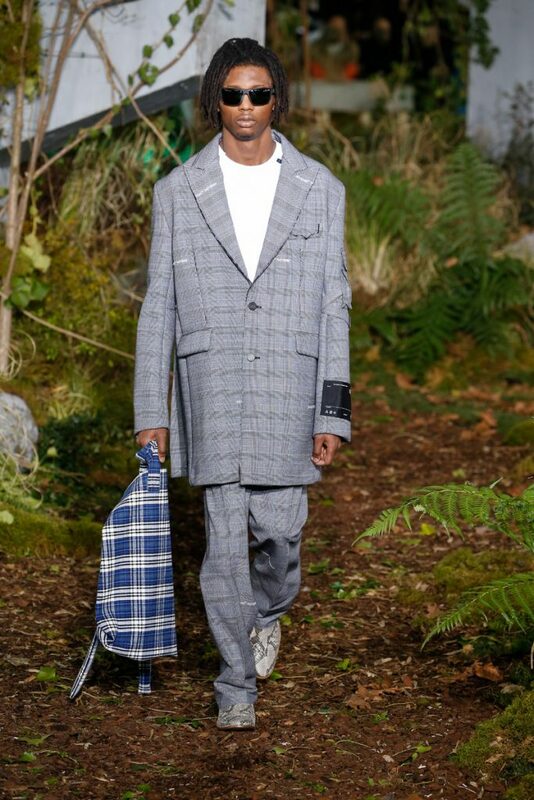 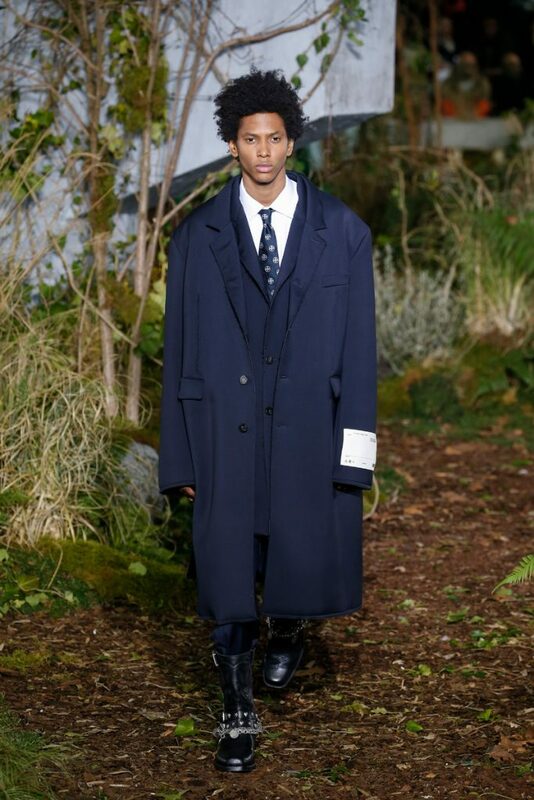 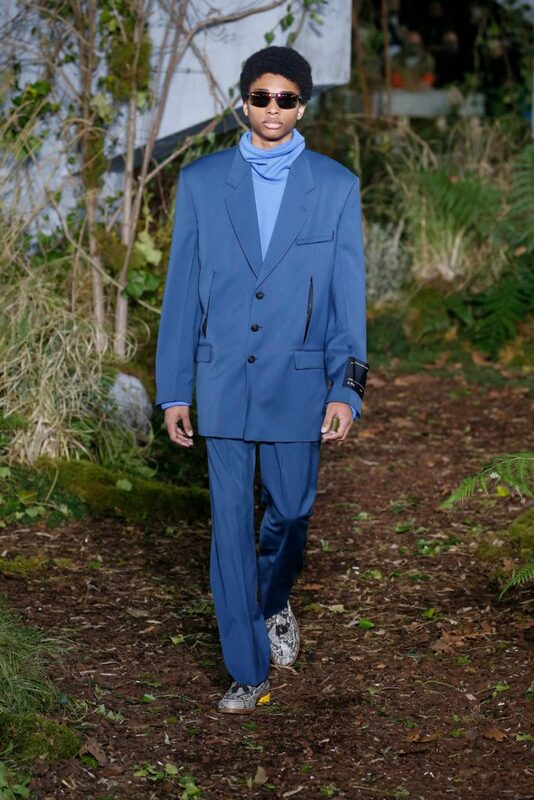 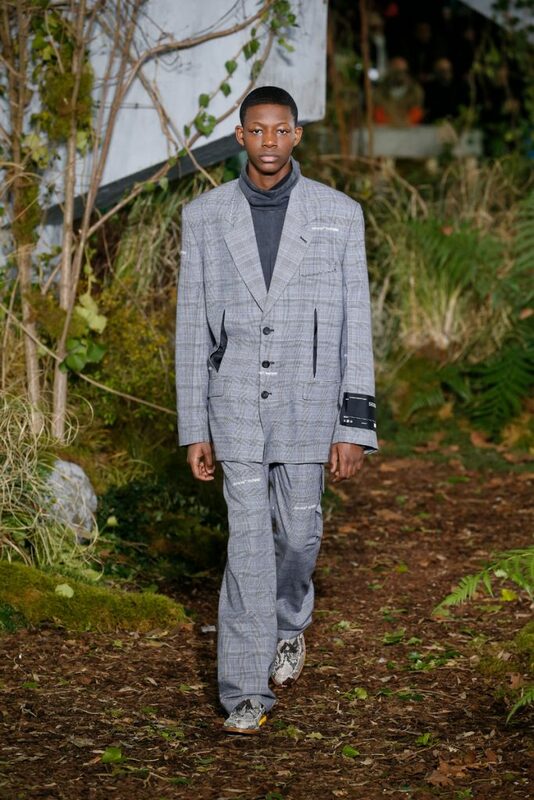 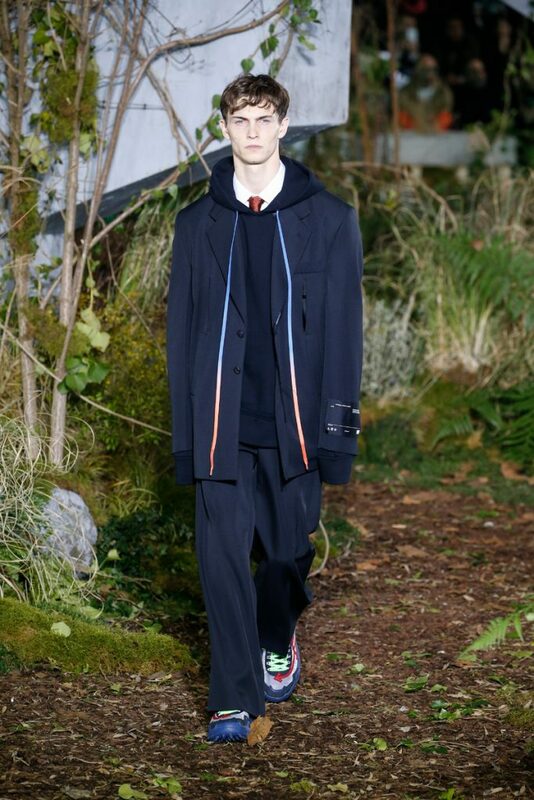 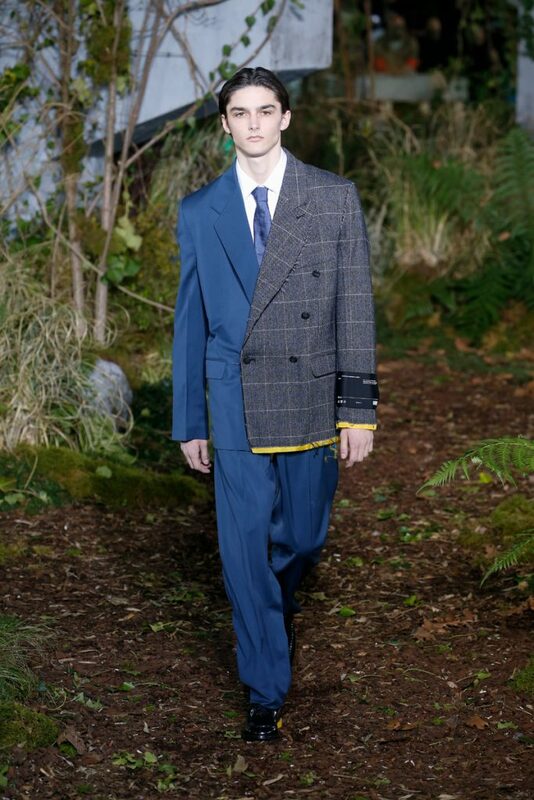 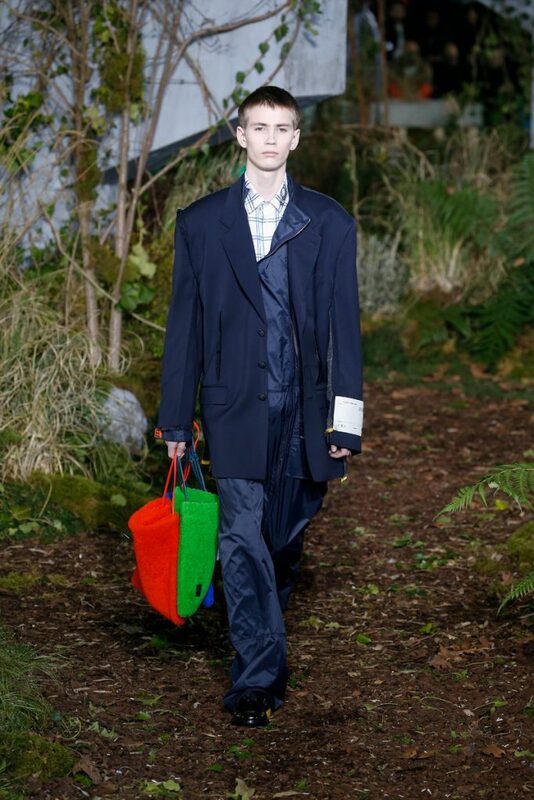 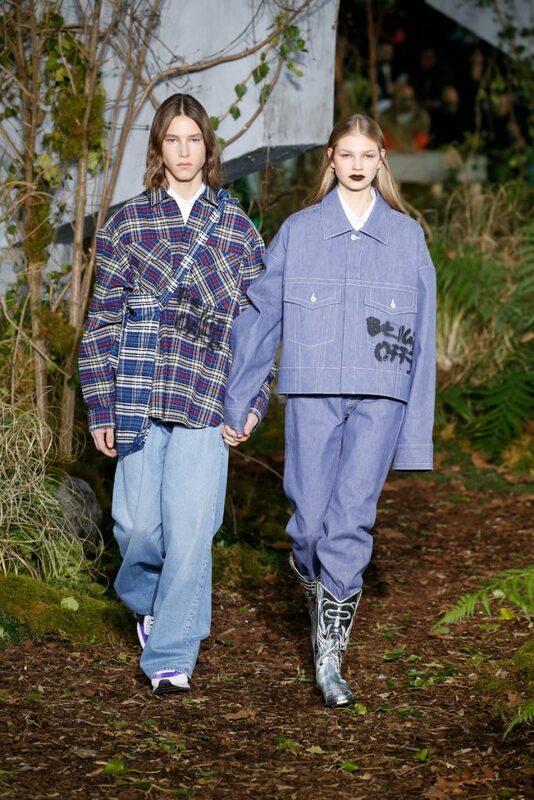 On an outdoor path the models appeared wearing their casual meets formal Off-White looks. 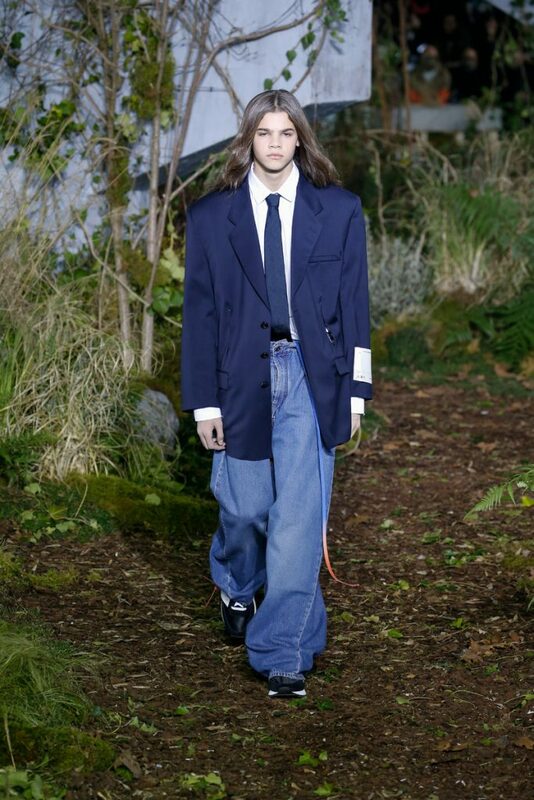 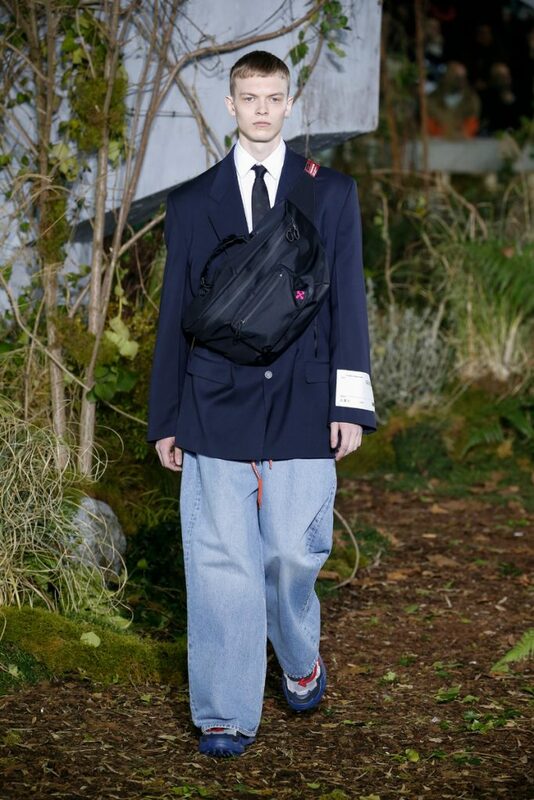 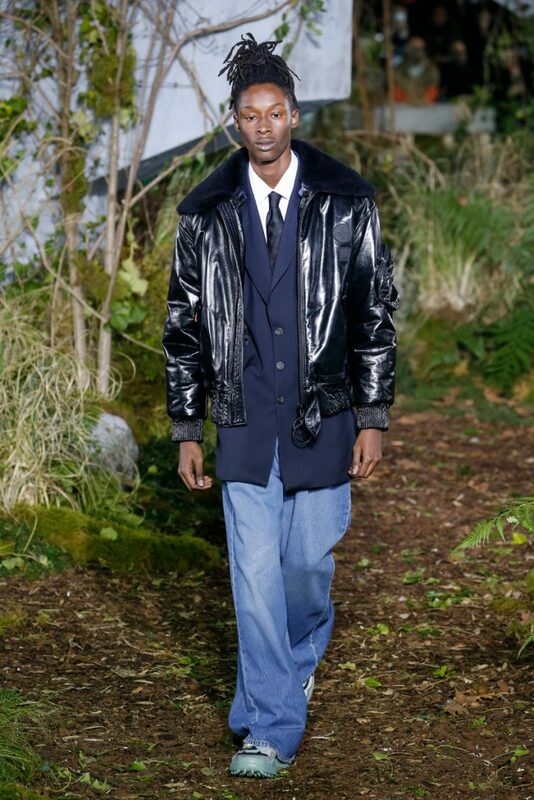 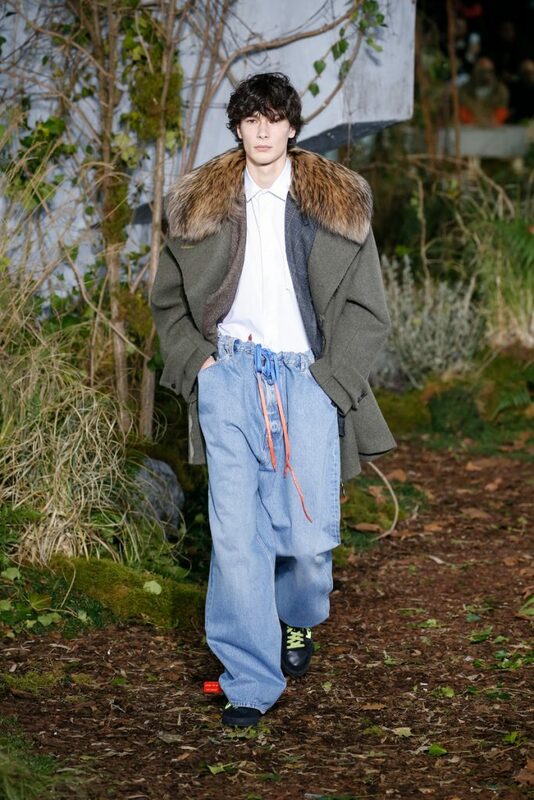 The opening look, an XL denim jeans (inspired by JNCO jeans) and an oversized navy jacket, set the mood. 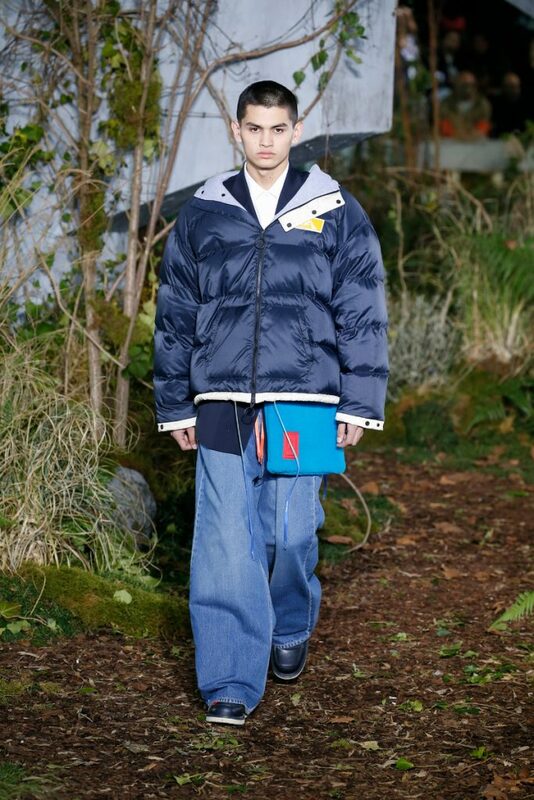 The jeans stayed extra large, the jackets remained boxy. 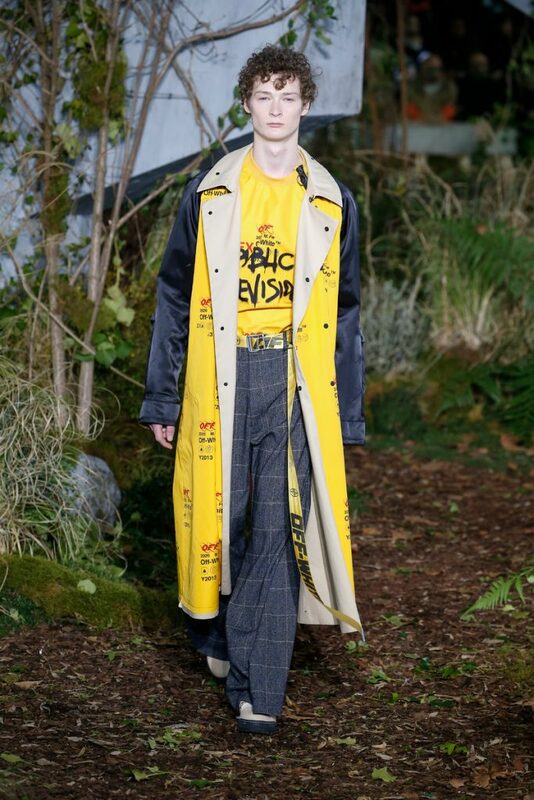 The latter just came out in several variations, with checks and branded patches. 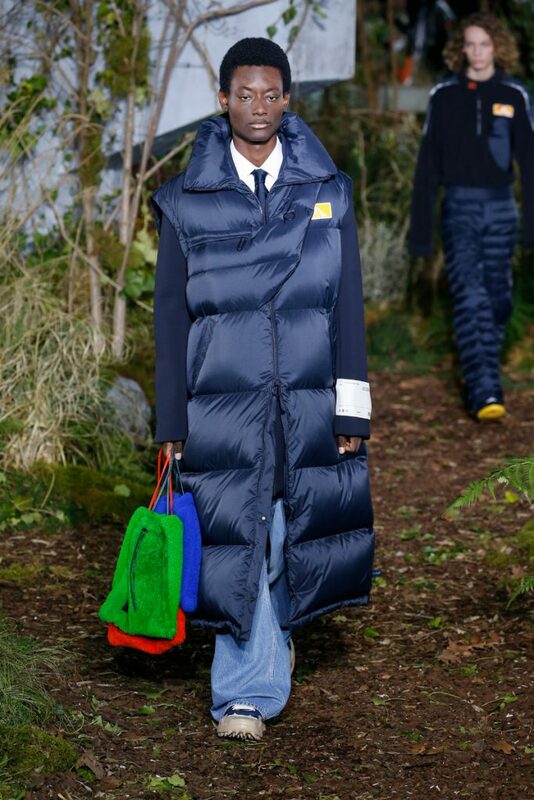 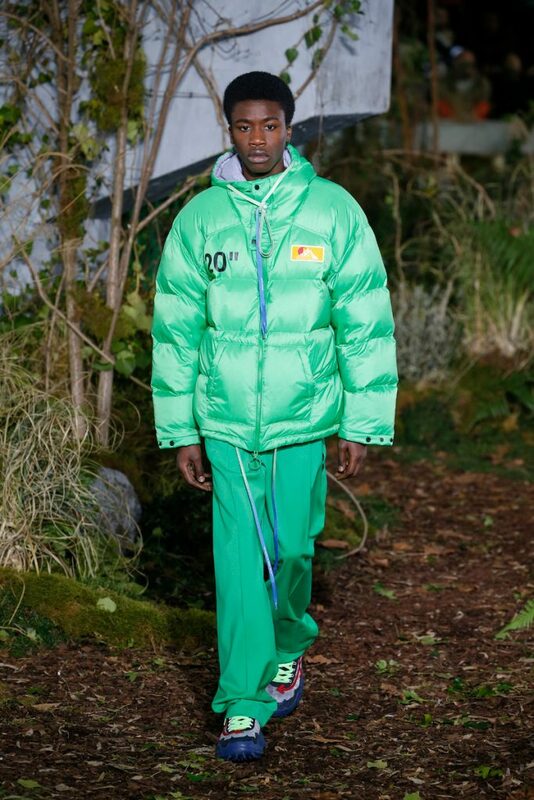 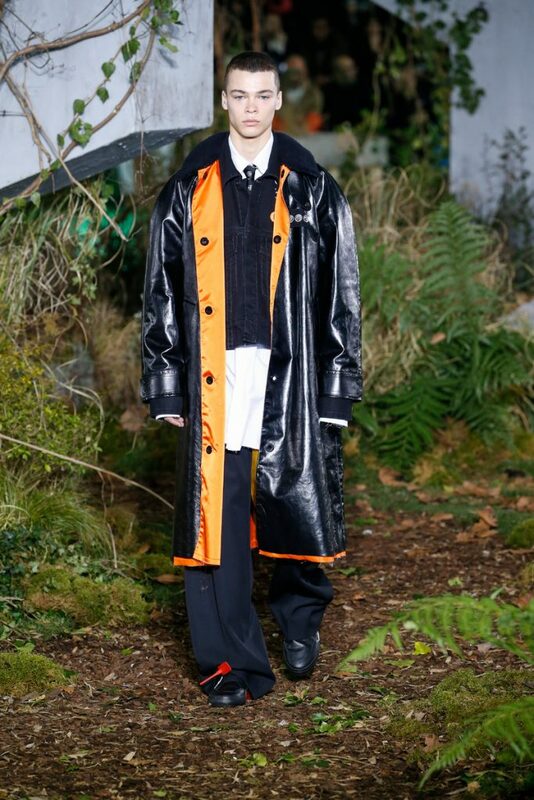 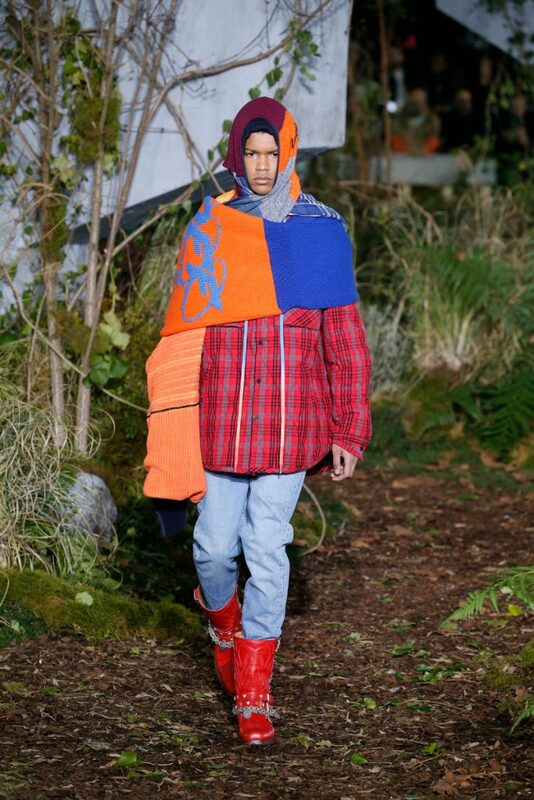 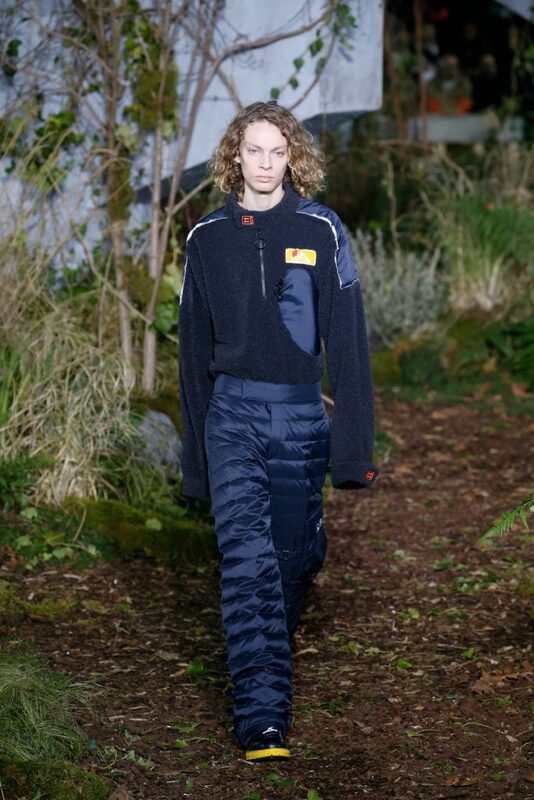 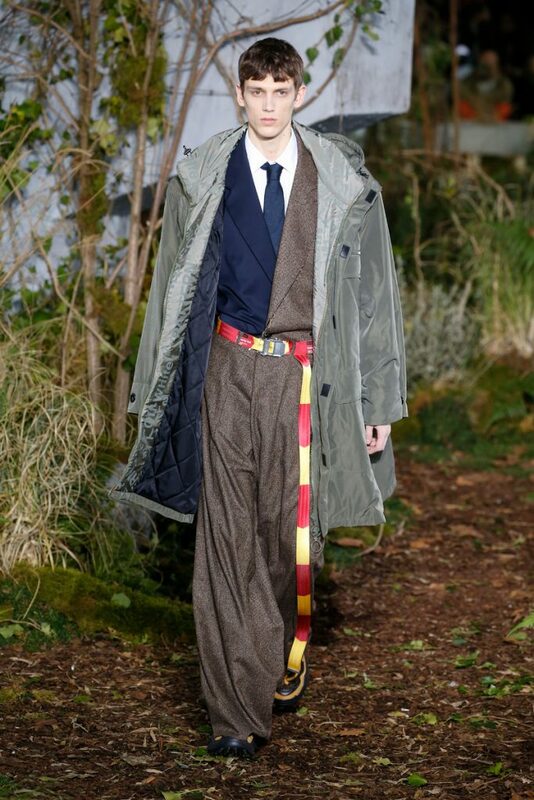 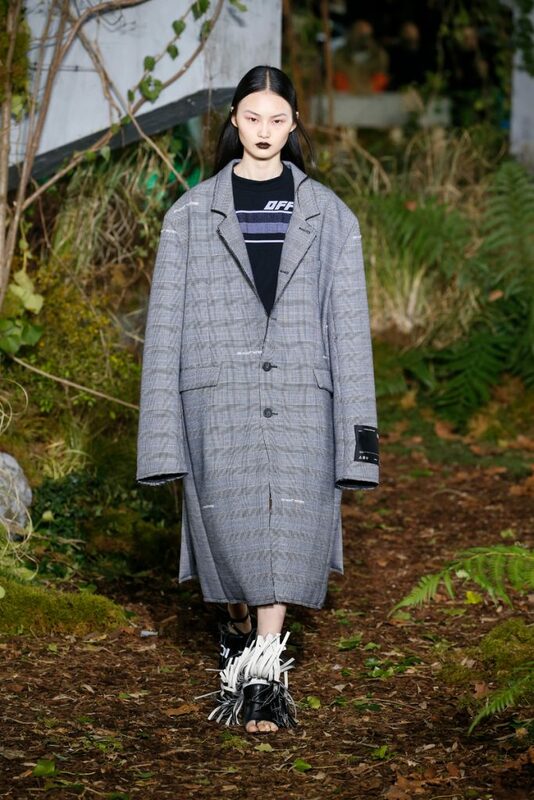 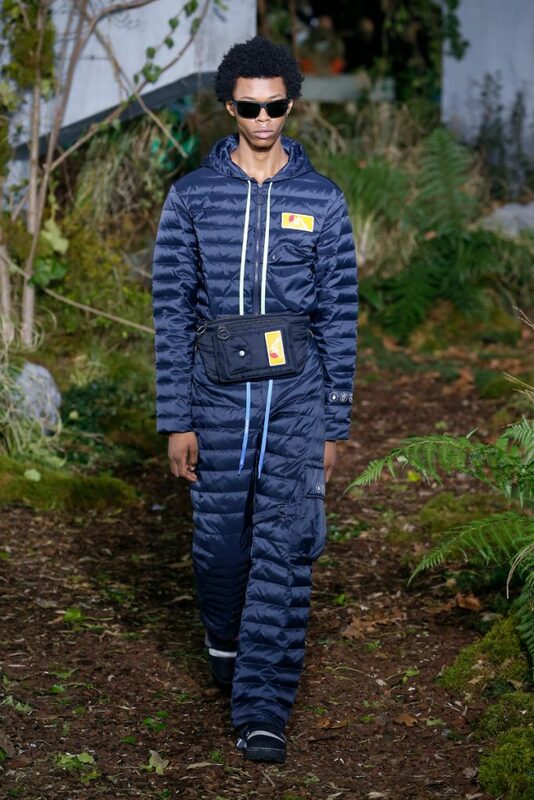 With look 12 Virgil Abloh sent out a long puffer body warmer. 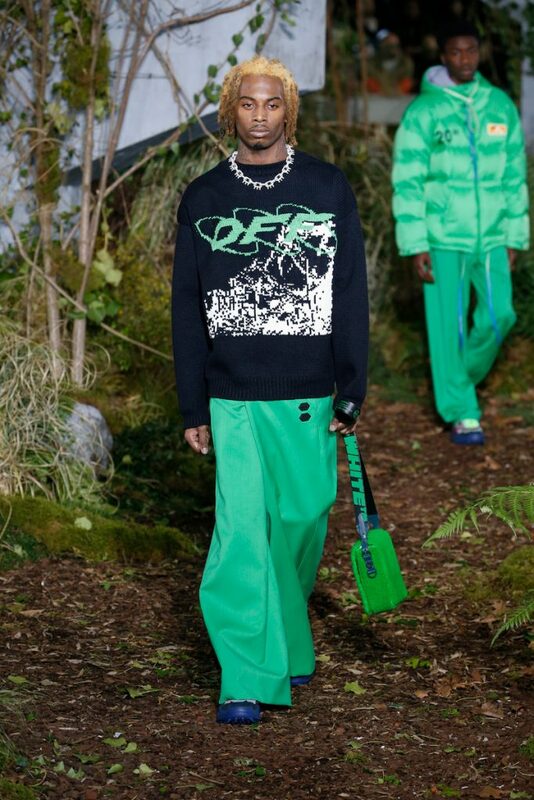 Halfway throughout the show rapper Offset (such a match!) 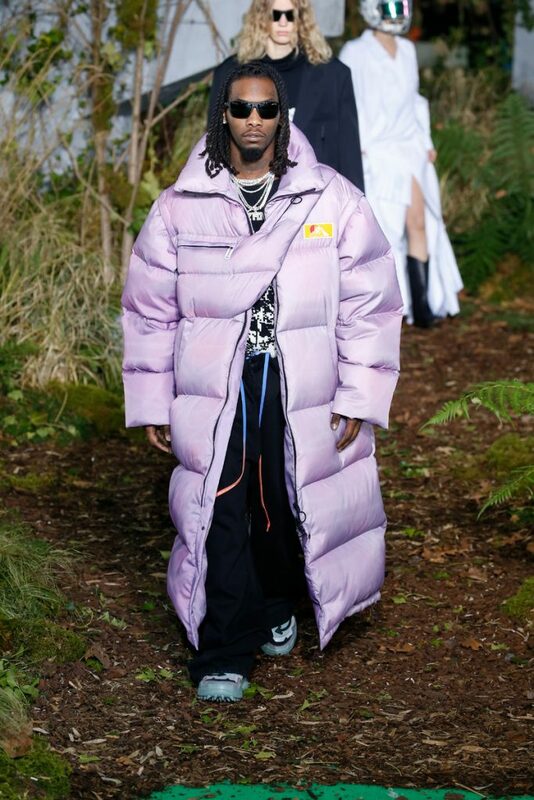 entered in a long lilac colored puffer coat. 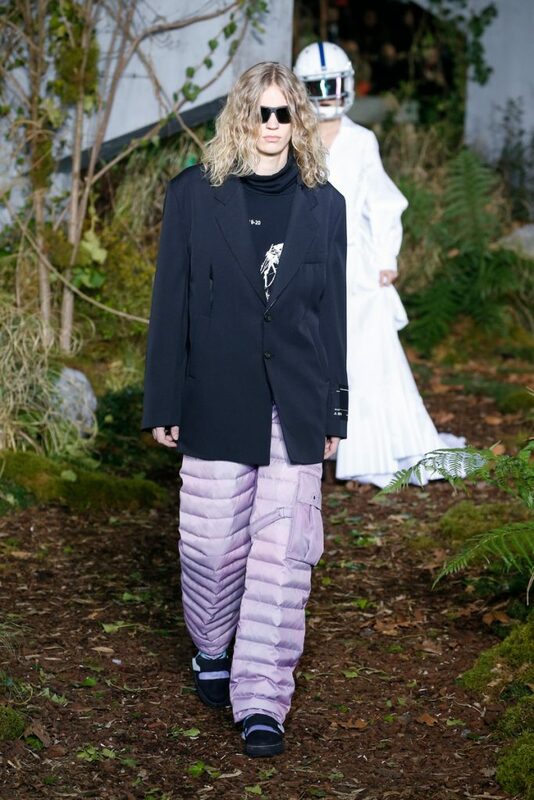 We even spotted a pair of lilac puffer pants! 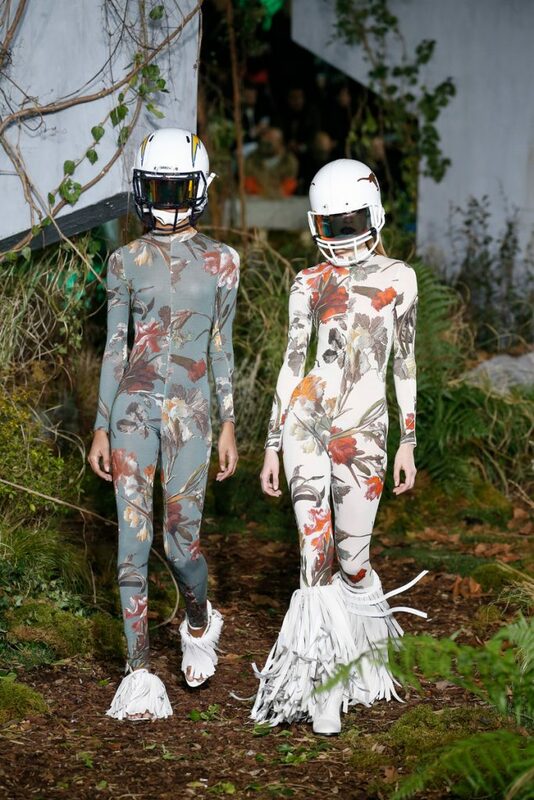 A few sporty looks, including helmets and cowboy boots and a duo of girls in floral printed body suits added to the entertainment factor of the show. 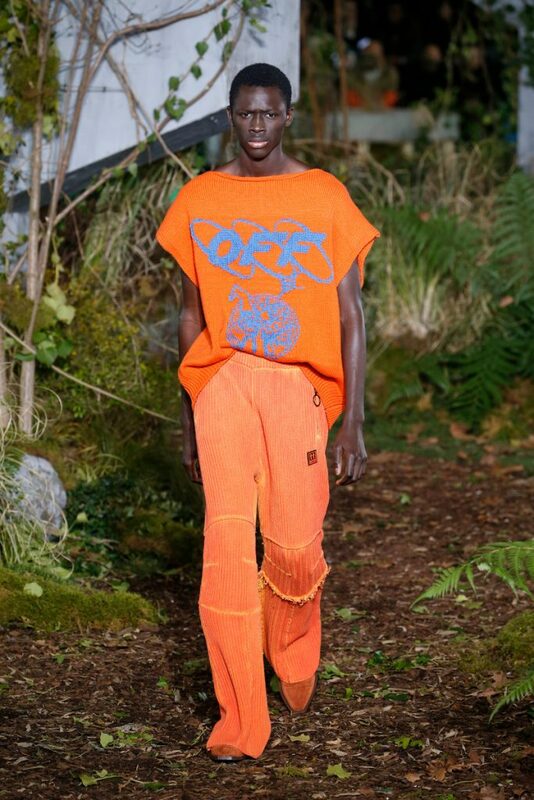 The bright orange, green and yellow at the end of the show fit the label’s signature. 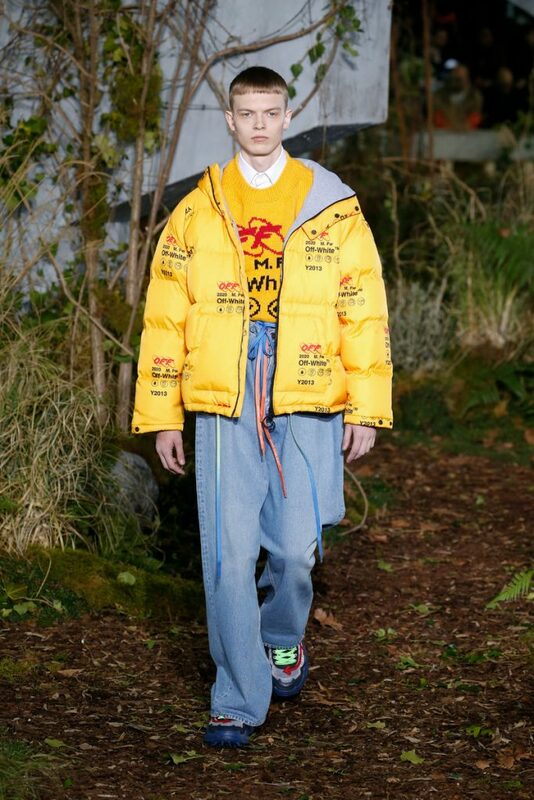 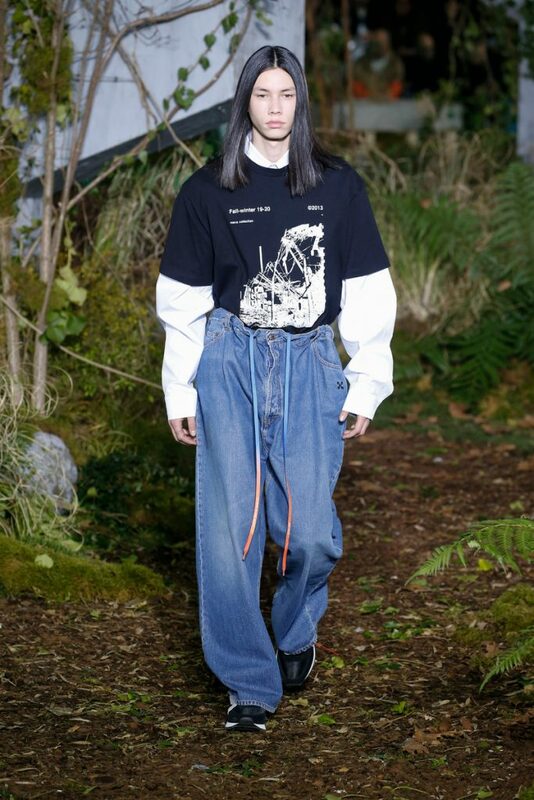 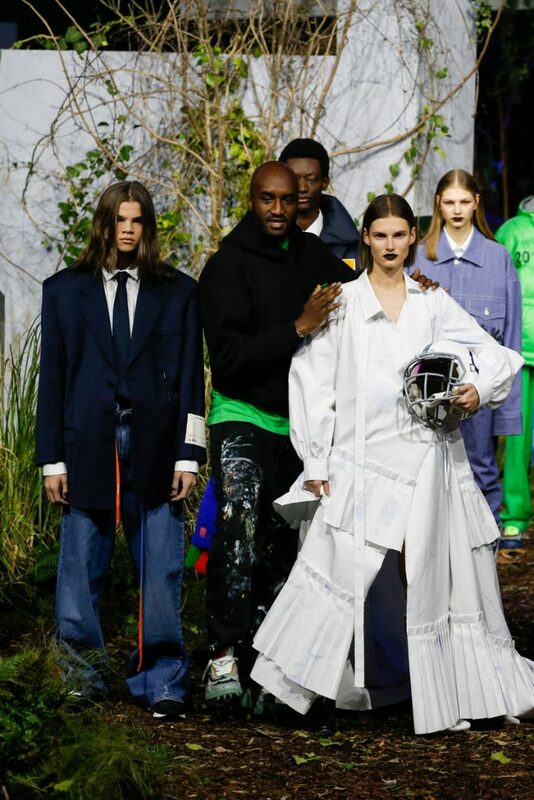 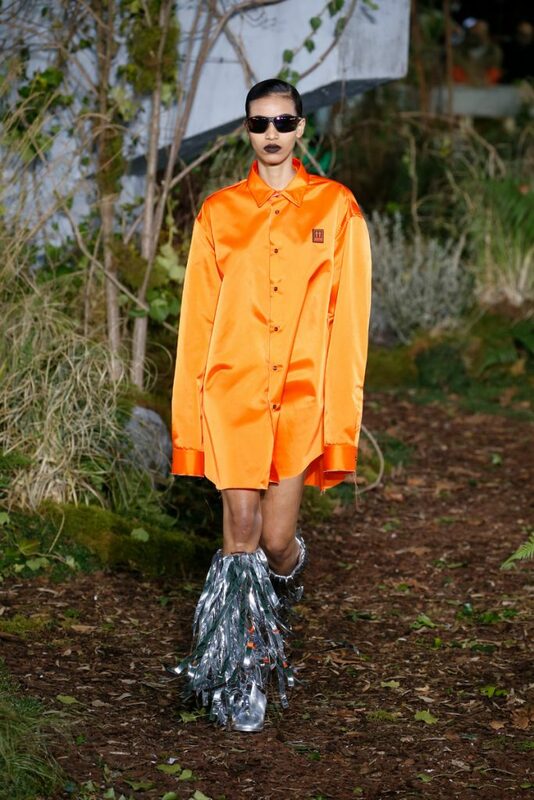 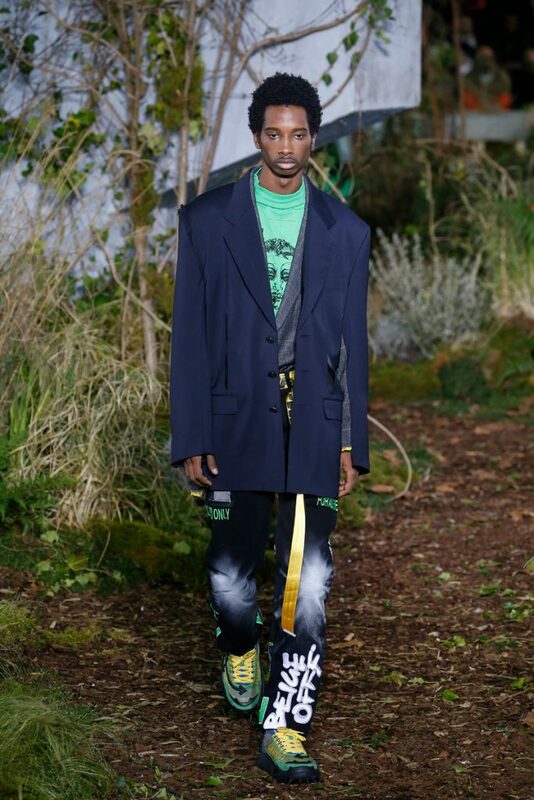 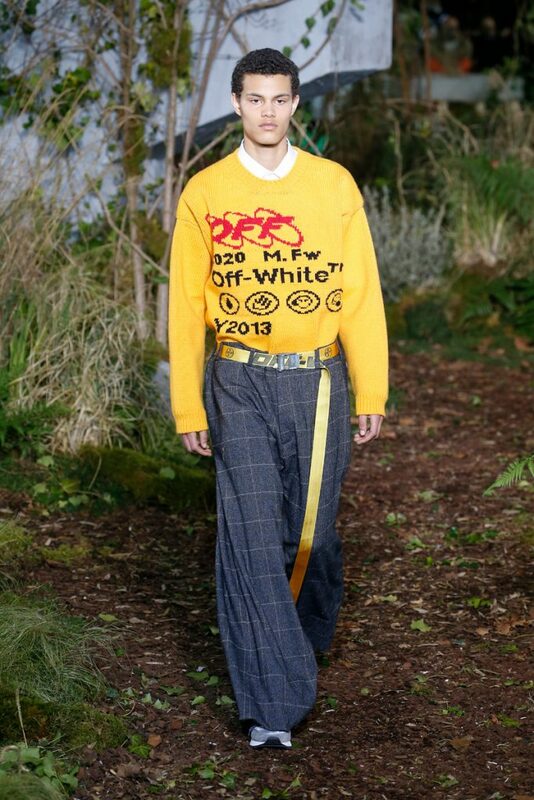 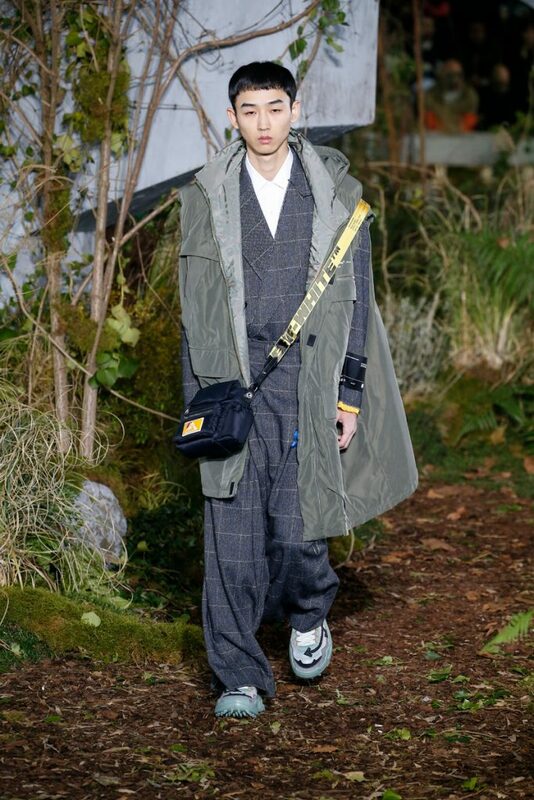 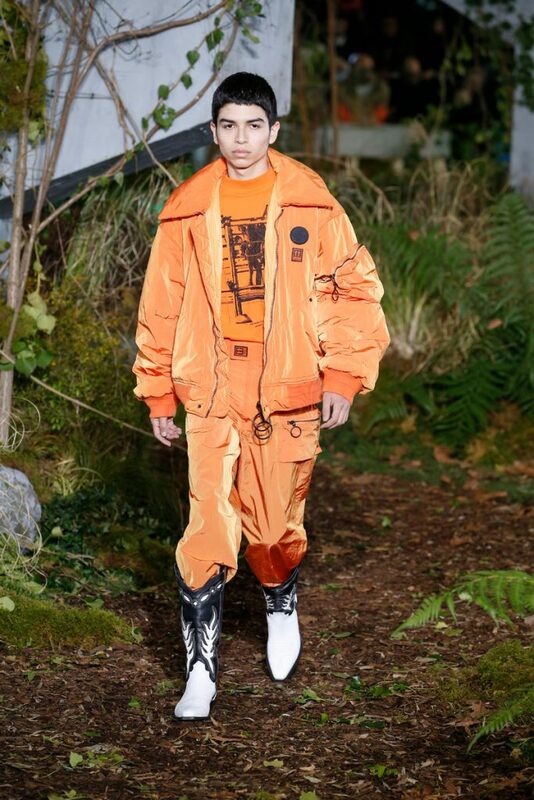 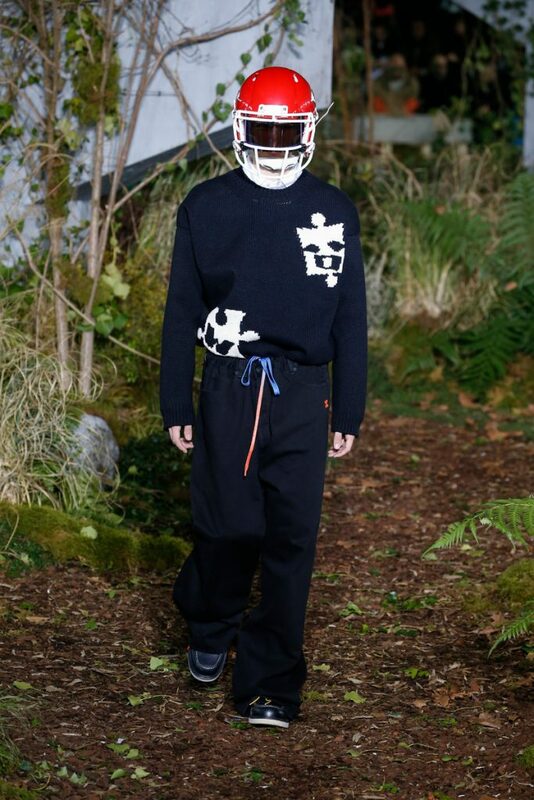 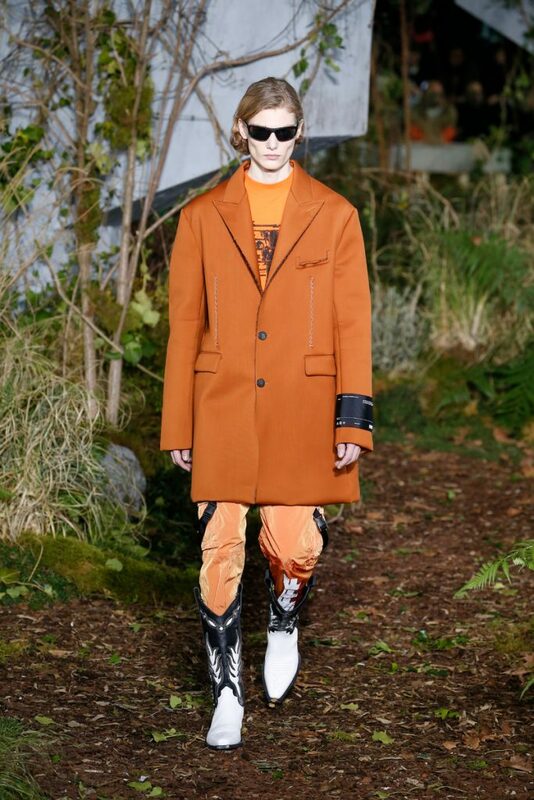 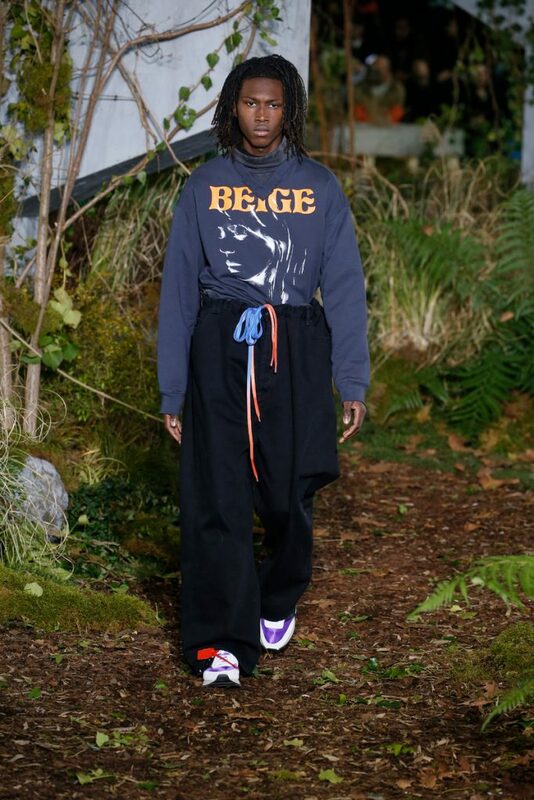 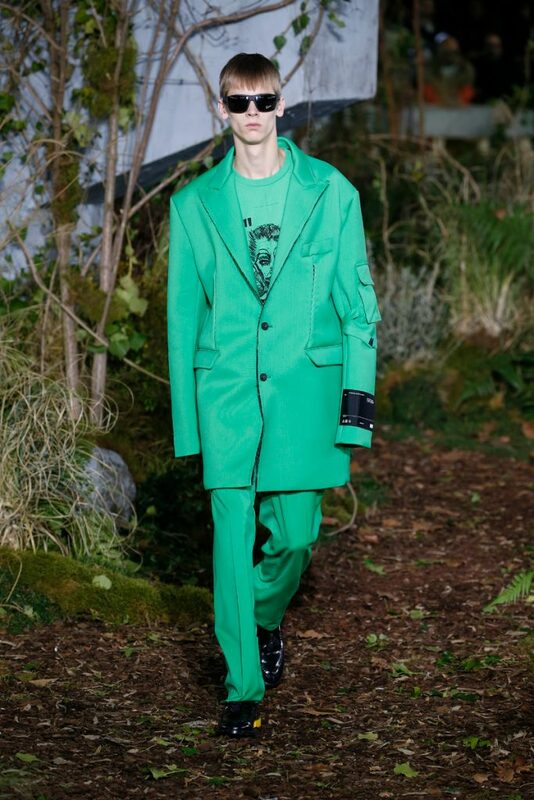 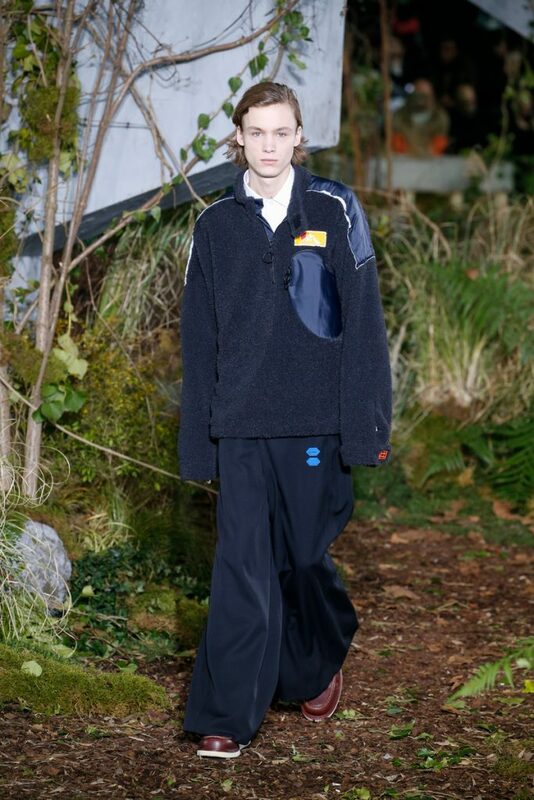 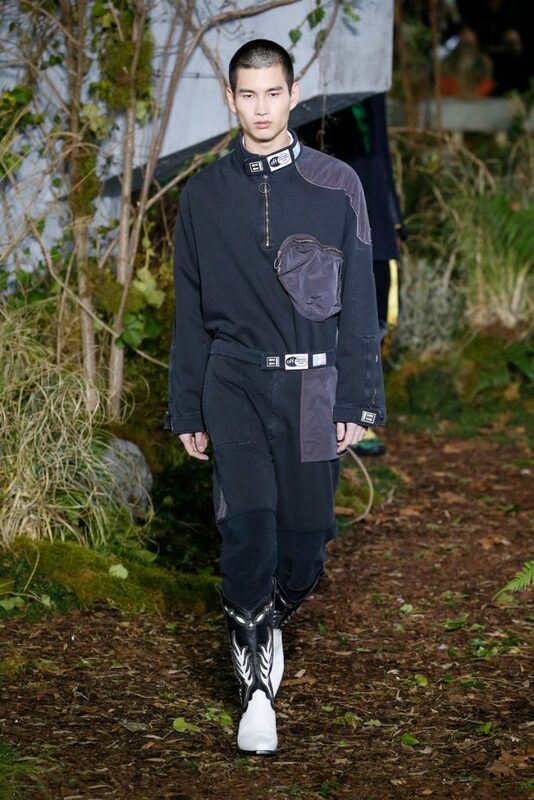 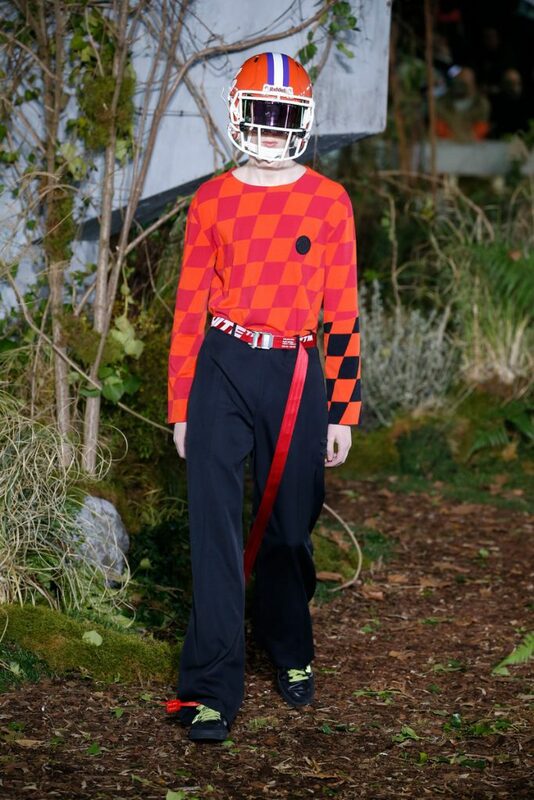 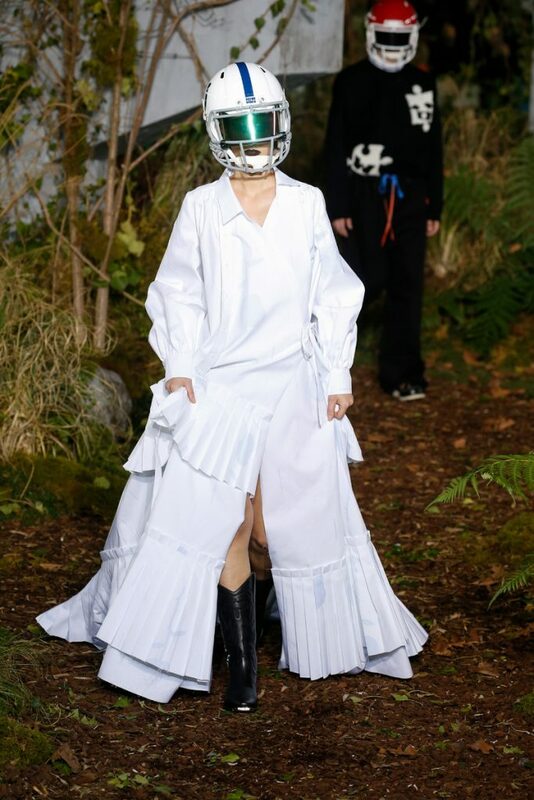 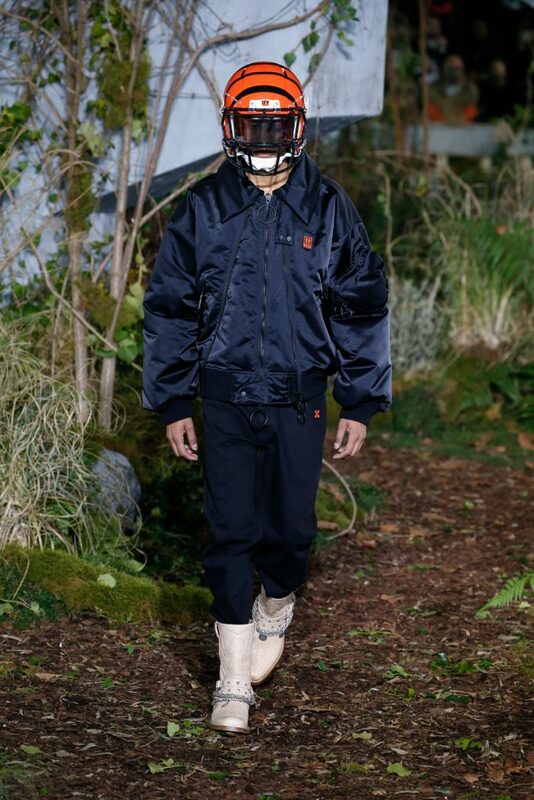 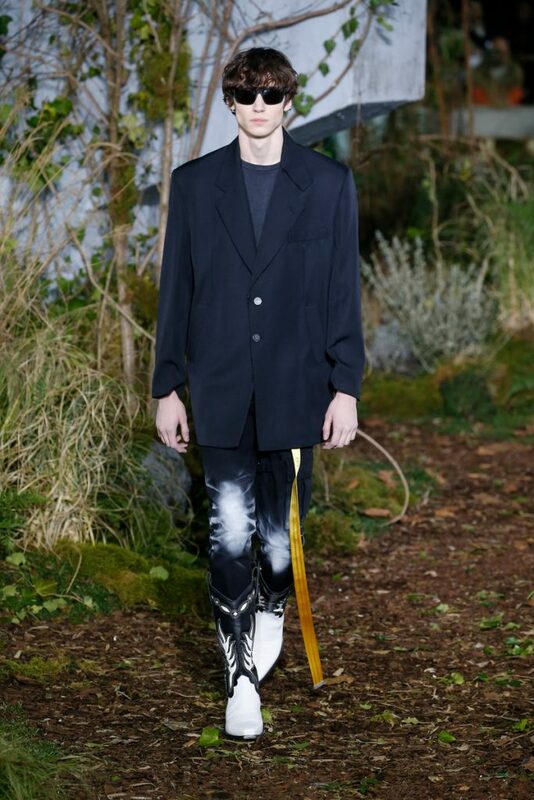 A less street/sportswear-y Off-White collection than we’d expected, but a very interesting one nevertheless.